something which can be resolved by a "no-blame" reconciliation process. Renewal -Rebirth, Regeneration, Restoration, Rekindling, Revitalisation, Replenishment & Revival. Exalting Jesus - Restoring, Equipping, Releasing & Supporting people... Renewal -Rebirth, Regeneration, Restoration, Rekindling, Revitalisation, Replenishment & Revival. Exalting Jesus - Restoring, Equipping, Releasing & Supporting people... Renewal -Rebirth, Regeneration, Restoration, Rekindling, Revitalisation, Replenishment & Revival. Replenishment & Revival. Exalting Jesus - Restoring, Equipping, Releasing & Supporting people... Renewal -Rebirth, Regeneration, Restoration, Rekindling, Revitalisation, Replenishment & Revival. Exalting Jesus - Restoring, Equipping, Releasing & Supporting people... Renewal -Rebirth, Regeneration, Restoration, Rekindling, Revitalisation, Replenishment & Revival. Exalting Jesus - Restoring, Equipping, Releasing & Supporting people... Renewal -Rebirth, Regeneration, Restoration, Rekindling, Revitalisation, Replenishment & Revival. Renewal -Rebirth, Regeneration, Restoration, Rekindling, Revitalisation, Replenishment & Revival. Exalting Jesus - Restoring, Equipping, Releasing & Supporting people... Renewal -Rebirth, Regeneration, Restoration, Rekindling, Revitalisation, Replenishment & Revival. Exalting Jesus - Restoring, Equipping, Releasing & Supporting people... Renewal -Rebirth, Regeneration, Restoration, Rekindling, Revitalisation, Replenishment & Revival. Replenishment & Revival. Exalting Jesus - Restoring, Equipping, Releasing & Supporting people... Renewal -Rebirth, Regeneration, Restoration, Rekindling, Revitalisation, Replenishment & Revival. Exalting Jesus - Restoring, Equipping, Releasing & Supporting people... Renewal -Rebirth, Regeneration, Restoration, Rekindling, Revitalisation, Replenishment & Revival. Exalting Jesus - Restoring, Equipping, Releasing & Supporting people... Renewal -Rebirth, Regeneration, Restoration, Rekindling, Revitalisation, Replenishment & Revival. Renewal -Rebirth, Regeneration, Restoration, Rekindling, Revitalisation, Replenishment & Revival. Exalting Jesus - Restoring, Equipping, Releasing & Supporting people... Renewal -Rebirth, Regeneration, Restoration, Rekindling, Revitalisation, Replenishment & Revival. Exalting Jesus - Restoring, Equipping, Releasing & Supporting people... Renewal -Rebirth, Regeneration, Restoration, Rekindling, Revitalisation, Replenishment & Revival. Replenishment & Revival. Exalting Jesus - Restoring, Equipping, Releasing & Supporting people... Renewal -Rebirth, Regeneration, Restoration, Rekindling, Revitalisation, Replenishment & Revival. Exalting Jesus - Restoring, Equipping, Releasing & Supporting people... Renewal -Rebirth, Regeneration, Restoration, Rekindling, Revitalisation, Replenishment & Revival. Exalting Jesus - Restoring, Equipping, Releasing & Supporting people... Renewal -Rebirth, Regeneration, Restoration, Rekindling, Revitalisation, Replenishment & Revival. Renewal -Rebirth, Regeneration, Restoration, Rekindling, Revitalisation, Replenishment & Revival. Exalting Jesus - Restoring, Equipping, Releasing & Supporting people... Renewal -Rebirth, Regeneration, Restoration, Rekindling, Revitalisation, Replenishment & Revival. Exalting Jesus - Restoring, Equipping, Releasing & Supporting people... Renewal -Rebirth, Regeneration, Restoration, Rekindling, Revitalisation, Replenishment & Revival. Replenishment & Revival. Exalting Jesus - Restoring, Equipping, Releasing & Supporting people... Renewal -Rebirth, Regeneration, Restoration, Rekindling, Revitalisation, Replenishment & Revival. Exalting Jesus - Restoring, Equipping, Releasing & Supporting people... Renewal -Rebirth, Regeneration, Restoration, Rekindling, Revitalisation, Replenishment & Revival. Exalting Jesus - Restoring, Equipping, Releasing & Supporting people... Renewal -Rebirth, Regeneration, Restoration, Rekindling, Revitalisation, Replenishment & Revival. Renewal -Rebirth, Regeneration, Restoration, Rekindling, Revitalisation, Replenishment & Revival. Exalting Jesus - Restoring, Equipping, Releasing & Supporting people... Renewal -Rebirth, Regeneration, Restoration, Rekindling, Revitalisation, Replenishment & Revival. Exalting Jesus - Restoring, Equipping, Releasing & Supporting people... Renewal -Rebirth, Regeneration, Restoration, Rekindling, Revitalisation, Replenishment & Revival. Replenishment & Revival. Exalting Jesus - Restoring, Equipping, Releasing & Supporting people... Renewal -Rebirth, Regeneration, Restoration, Rekindling, Revitalisation, Replenishment & Revival. Exalting Jesus - Restoring, Equipping, Releasing & Supporting people... Renewal -Rebirth, Regeneration, Restoration, Rekindling, Revitalisation, Replenishment & Revival. Exalting Jesus - Restoring, Equipping, Releasing & Supporting people... Renewal -Rebirth, Regeneration, Restoration, Rekindling, Revitalisation, Replenishment & Revival. Renewal -Rebirth, Regeneration, Restoration, Rekindling, Revitalisation, Replenishment & Revival. Exalting Jesus - Restoring, Equipping, Releasing & Supporting people... Renewal -Rebirth, Regeneration, Restoration, Rekindling, Revitalisation, Replenishment & Revival. Exalting Jesus - Restoring, Equipping, Releasing & Supporting people... Renewal -Rebirth, Regeneration, Restoration, Rekindling, Revitalisation, Replenishment & Revival. Replenishment & Revival. Exalting Jesus - Restoring, Equipping, Releasing & Supporting people... Renewal -Rebirth, Regeneration, Restoration, Rekindling, Revitalisation, Replenishment & Revival. Exalting Jesus - Restoring, Equipping, Releasing & Supporting people... Renewal -Rebirth, Regeneration, Restoration, Rekindling, Revitalisation, Replenishment & Revival. Exalting Jesus - Restoring, Equipping, Releasing & Supporting people... Renewal -Rebirth, Regeneration, Restoration, Rekindling, Revitalisation, Replenishment & Revival. Renewal -Rebirth, Regeneration, Restoration, Rekindling, Revitalisation, Replenishment & Revival. Exalting Jesus - Restoring, Equipping, Releasing & Supporting people... Renewal -Rebirth, Regeneration, Restoration, Rekindling, Revitalisation, Replenishment & Revival. Exalting Jesus - Restoring, Equipping, Releasing & Supporting people... Renewal -Rebirth, Regeneration, Restoration, Rekindling, Revitalisation, Replenishment & Revival. Replenishment & Revival. Exalting Jesus - Restoring, Equipping, Releasing & Supporting people... Renewal -Rebirth, Regeneration, Restoration, Rekindling, Revitalisation, Replenishment & Revival. Exalting Jesus - Restoring, Equipping, Releasing & Supporting people... Renewal -Rebirth, Regeneration, Restoration, Rekindling, Revitalisation, Replenishment & Revival. Exalting Jesus - Restoring, Equipping, Releasing & Supporting people... Renewal -Rebirth, Regeneration, Restoration, Rekindling, Revitalisation, Replenishment & Revival. Renewal -Rebirth, Regeneration, Restoration, Rekindling, Revitalisation, Replenishment & Revival. Exalting Jesus - Restoring, Equipping, Releasing & Supporting people... Renewal -Rebirth, Regeneration, Restoration, Rekindling, Revitalisation, Replenishment & Revival. Exalting Jesus - Restoring, Equipping, Releasing & Supporting people... Renewal -Rebirth, Regeneration, Restoration, Rekindling, Revitalisation, Replenishment & Revival. Replenishment & Revival. Exalting Jesus - Restoring, Equipping, Releasing & Supporting people... Renewal -Rebirth, Regeneration, Restoration, Rekindling, Revitalisation, Replenishment & Revival. Exalting Jesus - Restoring, Equipping, Releasing & Supporting people... Renewal -Rebirth, Regeneration, Restoration, Rekindling, Revitalisation, Replenishment & Revival. Exalting Jesus - Restoring, Equipping, Releasing & Supporting people... Renewal -Rebirth, Regeneration, Restoration, Rekindling, Revitalisation, Replenishment & Revival. Renewal -Rebirth, Regeneration, Restoration, Rekindling, Revitalisation, Replenishment & Revival. Exalting Jesus - Restoring, Equipping, Releasing & Supporting people... Renewal -Rebirth, Regeneration, Restoration, Rekindling, Revitalisation, Replenishment & Revival. Exalting Jesus - Restoring, Equipping, Releasing & Supporting people... Renewal -Rebirth, Regeneration, Restoration, Rekindling, Revitalisation, Replenishment & Revival. Replenishment & Revival. Exalting Jesus - Restoring, Equipping, Releasing & Supporting people... Renewal -Rebirth, Regeneration, Restoration, Rekindling, Revitalisation, Replenishment & Revival. Exalting Jesus - Restoring, Equipping, Releasing & Supporting people... Renewal -Rebirth, Regeneration, Restoration, Rekindling, Revitalisation, Replenishment & Revival. Exalting Jesus - Restoring, Equipping, Releasing & Supporting people... Renewal -Rebirth, Regeneration, Restoration, Rekindling, Revitalisation, Replenishment & Revival. Renewal -Rebirth, Regeneration, Restoration, Rekindling, Revitalisation, Replenishment & Revival. Exalting Jesus - Restoring, Equipping, Releasing & Supporting people... Renewal -Rebirth, Regeneration, Restoration, Rekindling, Revitalisation, Replenishment & Revival. Exalting Jesus - Restoring, Equipping, Releasing & Supporting people... Renewal -Rebirth, Regeneration, Restoration, Rekindling, Revitalisation, Replenishment & Revival. Replenishment & Revival. Exalting Jesus - Restoring, Equipping, Releasing & Supporting people... Renewal -Rebirth, Regeneration, Restoration, Rekindling, Revitalisation, Replenishment & Revival. Exalting Jesus - Restoring, Equipping, Releasing & Supporting people... Renewal -Rebirth, Regeneration, Restoration, Rekindling, Revitalisation, Replenishment & Revival. Exalting Jesus - Restoring, Equipping, Releasing & Supporting people... Renewal -Rebirth, Regeneration, Restoration, Rekindling, Revitalisation, Replenishment & Revival. Renewal -Rebirth, Regeneration, Restoration, Rekindling, Revitalisation, Replenishment & Revival. Exalting Jesus - Restoring, Equipping, Releasing & Supporting people... Renewal -Rebirth, Regeneration, Restoration, Rekindling, Revitalisation, Replenishment & Revival. Exalting Jesus - Restoring, Equipping, Releasing & Supporting people... Renewal -Rebirth, Regeneration, Restoration, Rekindling, Revitalisation, Replenishment & Revival. Replenishment & Revival. Exalting Jesus - Restoring, Equipping, Releasing & Supporting people... Renewal -Rebirth, Regeneration, Restoration, Rekindling, Revitalisation, Replenishment & Revival. Exalting Jesus - Restoring, Equipping, Releasing & Supporting people... Renewal -Rebirth, Regeneration, Restoration, Rekindling, Revitalisation, Replenishment & Revival. Exalting Jesus - Restoring, Equipping, Releasing & Supporting people... Renewal -Rebirth, Regeneration, Restoration, Rekindling, Revitalisation, Replenishment & Revival. Renewal -Rebirth, Regeneration, Restoration, Rekindling, Revitalisation, Replenishment & Revival. Exalting Jesus - Restoring, Equipping, Releasing & Supporting people... Renewal -Rebirth, Regeneration, Restoration, Rekindling, Revitalisation, Replenishment & Revival. Exalting Jesus - Restoring, Equipping, Releasing & Supporting people... Renewal -Rebirth, Regeneration, Restoration, Rekindling, Revitalisation, Replenishment & Revival. Replenishment & Revival. Renewal -Rebirth, Regeneration, Restoration, Rekindling, Revitalisation, Replenishment & Revival. Exalting Jesus - Restoring, Equipping, Releasing & Supporting people... Renewal -Rebirth, Regeneration, Restoration, Rekindling, Revitalisation, Replenishment & Revival. Exalting Jesus - Restoring, Equipping, Releasing & Supporting people... Renewal -Rebirth, Regeneration, Restoration, Rekindling, Revitalisation, Replenishment & Revival. Replenishment & Revival. Exalting Jesus - Restoring, Equipping, Releasing & Supporting people... Renewal -Rebirth, Regeneration, Restoration, Rekindling, Revitalisation, Replenishment & Revival. Exalting Jesus - Restoring, Equipping, Releasing & Supporting people... Renewal -Rebirth, Regeneration, Restoration, Rekindling, Revitalisation, Replenishment & Revival. Exalting Jesus - Restoring, Equipping, Releasing & Supporting people... Renewal -Rebirth, Regeneration, Restoration, Rekindling, Revitalisation, Replenishment & Revival. Renewal -Rebirth, Regeneration, Restoration, Rekindling, Revitalisation, Replenishment & Revival. Exalting Jesus - Restoring, Equipping, Releasing & Supporting people... Renewal -Rebirth, Regeneration, Restoration, Rekindling, Revitalisation, Replenishment & Revival. Exalting Jesus - Restoring, Equipping, Releasing & Supporting people... Renewal -Rebirth, Regeneration, Restoration, Rekindling, Revitalisation, Replenishment & Revival. Replenishment & Revival. Exalting Jesus - Restoring, Equipping, Releasing & Supporting people... Renewal -Rebirth, Regeneration, Restoration, Rekindling, Revitalisation, Replenishment & Revival. Exalting Jesus - Restoring, Equipping, Releasing & Supporting people... Renewal -Rebirth, Regeneration, Restoration, Rekindling, Revitalisation, Replenishment & Revival. Exalting Jesus - Restoring, Equipping, Releasing & Supporting people... Renewal -Rebirth, Regeneration, Restoration, Rekindling, Revitalisation, Replenishment & Revival. Renewal -Rebirth, Regeneration, Restoration, Rekindling, Revitalisation, Replenishment & Revival. Exalting Jesus - Restoring, Equipping, Releasing & Supporting people... Renewal -Rebirth, Regeneration, Restoration, Rekindling, Revitalisation, Replenishment & Revival. Exalting Jesus - Restoring, Equipping, Releasing & Supporting people... Renewal -Rebirth, Regeneration, Restoration, Rekindling, Revitalisation, Replenishment & Revival. Replenishment & Revival. Exalting Jesus - Restoring, Equipping, Releasing & Supporting people... Renewal -Rebirth, Regeneration, Restoration, Rekindling, Revitalisation, Replenishment & Revival. Exalting Jesus - Restoring, Equipping, Releasing & Supporting people... Renewal -Rebirth, Regeneration, Restoration, Rekindling, Revitalisation, Replenishment & Revival. Exalting Jesus - Restoring, Equipping, Releasing & Supporting people... Renewal -Rebirth, Regeneration, Restoration, Rekindling, Revitalisation, Replenishment & Revival. Renewal -Rebirth, Regeneration, Restoration, Rekindling, Revitalisation, Replenishment & Revival. Exalting Jesus - Restoring, Equipping, Releasing & Supporting people... Renewal -Rebirth, Regeneration, Restoration, Rekindling, Revitalisation, Replenishment & Revival. Exalting Jesus - Restoring, Equipping, Releasing & Supporting people... Renewal -Rebirth, Regeneration, Restoration, Rekindling, Revitalisation, Replenishment & Revival. Replenishment & Revival. Exalting Jesus - Restoring, Equipping, Releasing & Supporting people... Renewal -Rebirth, Regeneration, Restoration, Rekindling, Revitalisation, Replenishment & Revival. Exalting Jesus - Restoring, Equipping, Releasing & Supporting people... Renewal -Rebirth, Regeneration, Restoration, Rekindling, Revitalisation, Replenishment & Revival. Exalting Jesus - Restoring, Equipping, Releasing & Supporting people... Renewal -Rebirth, Regeneration, Restoration, Rekindling, Revitalisation, Replenishment & Revival. Renewal -Rebirth, Regeneration, Restoration, Rekindling, Revitalisation, Replenishment & Revival. Exalting Jesus - Restoring, Equipping, Releasing & Supporting people... Renewal -Rebirth, Regeneration, Restoration, Rekindling, Revitalisation, Replenishment & Revival. Exalting Jesus - Restoring, Equipping, Releasing & Supporting people... Renewal -Rebirth, Regeneration, Restoration, Rekindling, Revitalisation, Replenishment & Revival. Replenishment & Revival. Exalting Jesus - Restoring, Equipping, Releasing & Supporting people... Renewal -Rebirth, Regeneration, Restoration, Rekindling, Revitalisation, Replenishment & Revival. Exalting Jesus - Restoring, Equipping, Releasing & Supporting people... Renewal -Rebirth, Regeneration, Restoration, Rekindling, Revitalisation, Replenishment & Revival. Exalting Jesus - Restoring, Equipping, Releasing & Supporting people... Renewal -Rebirth, Regeneration, Restoration, Rekindling, Revitalisation, Replenishment & Revival. Renewal -Rebirth, Regeneration, Restoration, Rekindling, Revitalisation, Replenishment & Revival. Exalting Jesus - Restoring, Equipping, Releasing & Supporting people... Renewal -Rebirth, Regeneration, Restoration, Rekindling, Revitalisation, Replenishment & Revival. Exalting Jesus - Restoring, Equipping, Releasing & Supporting people... Renewal -Rebirth, Regeneration, Restoration, Rekindling, Revitalisation, Replenishment & Revival. Replenishment & Revival. Exalting Jesus - Restoring, Equipping, Releasing & Supporting people... Renewal -Rebirth, Regeneration, Restoration, Rekindling, Revitalisation, Replenishment & Revival. Exalting Jesus - Restoring, Equipping, Releasing & Supporting people... Renewal -Rebirth, Regeneration, Restoration, Rekindling, Revitalisation, Replenishment & Revival. Exalting Jesus - Restoring, Equipping, Releasing & Supporting people... Renewal -Rebirth, Regeneration, Restoration, Rekindling, Revitalisation, Replenishment & Revival. Renewal -Rebirth, Regeneration, Restoration, Rekindling, Revitalisation, Replenishment & Revival. Exalting Jesus - Restoring, Equipping, Releasing & Supporting people... Renewal -Rebirth, Regeneration, Restoration, Rekindling, Revitalisation, Replenishment & Revival. Exalting Jesus - Restoring, Equipping, Releasing & Supporting people... Renewal -Rebirth, Regeneration, Restoration, Rekindling, Revitalisation, Replenishment & Revival. Replenishment & Revival. Exalting Jesus - Restoring, Equipping, Releasing & Supporting people... Renewal -Rebirth, Regeneration, Restoration, Rekindling, Revitalisation, Replenishment & Revival. Exalting Jesus - Restoring, Equipping, Releasing & Supporting people... Renewal -Rebirth, Regeneration, Restoration, Rekindling, Revitalisation, Replenishment & Revival. Exalting Jesus - Restoring, Equipping, Releasing & Supporting people... Renewal -Rebirth, Regeneration, Restoration, Rekindling, Revitalisation, Replenishment & Revival. Renewal -Rebirth, Regeneration, Restoration, Rekindling, Revitalisation, Replenishment & Revival. Exalting Jesus - Restoring, Equipping, Releasing & Supporting people... Renewal -Rebirth, Regeneration, Restoration, Rekindling, Revitalisation, Replenishment & Revival. Exalting Jesus - Restoring, Equipping, Releasing & Supporting people... Renewal -Rebirth, Regeneration, Restoration, Rekindling, Revitalisation, Replenishment & Revival. Replenishment & Revival. Exalting Jesus - Restoring, Equipping, Releasing & Supporting people... Renewal -Rebirth, Regeneration, Restoration, Rekindling, Revitalisation, Replenishment & Revival. Exalting Jesus - Restoring, Equipping, Releasing & Supporting people... Renewal -Rebirth, Regeneration, Restoration, Rekindling, Revitalisation, Replenishment & Revival. Exalting Jesus - Restoring, Equipping, Releasing & Supporting people... Renewal -Rebirth, Regeneration, Restoration, Rekindling, Revitalisation, Replenishment & Revival. Renewal -Rebirth, Regeneration, Restoration, Rekindling, Revitalisation, Replenishment & Revival. Exalting Jesus - Restoring, Equipping, Releasing & Supporting people... Renewal -Rebirth, Regeneration, Restoration, Rekindling, Revitalisation, Replenishment & Revival. Exalting Jesus - Restoring, Equipping, Releasing & Supporting people... Renewal -Rebirth, Regeneration, Restoration, Rekindling, Revitalisation, Replenishment & Revival. Replenishment & Revival. Exalting Jesus - Restoring, Equipping, Releasing & Supporting people... Renewal -Rebirth, Regeneration, Restoration, Rekindling, Revitalisation, Replenishment & Revival. Exalting Jesus - Restoring, Equipping, Releasing & Supporting people... Renewal -Rebirth, Regeneration, Restoration, Rekindling, Revitalisation, Replenishment & Revival. Exalting Jesus - Restoring, Equipping, Releasing & Supporting people... Renewal -Rebirth, Regeneration, Restoration, Rekindling, Revitalisation, Replenishment & Revival. Renewal -Rebirth, Regeneration, Restoration, Rekindling, Revitalisation, Replenishment & Revival. Exalting Jesus - Restoring, Equipping, Releasing & Supporting people... Renewal -Rebirth, Regeneration, Restoration, Rekindling, Revitalisation, Replenishment & Revival. Exalting Jesus - Restoring, Equipping, Releasing & Supporting people... Renewal -Rebirth, Regeneration, Restoration, Rekindling, Revitalisation, Replenishment & Revival. Replenishment & Revival. Exalting Jesus - Restoring, Equipping, Releasing & Supporting people... Renewal -Rebirth, Regeneration, Restoration, Rekindling, Revitalisation, Replenishment & Revival. Exalting Jesus - Restoring, Equipping, Releasing & Supporting people... Renewal -Rebirth, Regeneration, Restoration, Rekindling, Revitalisation, Replenishment & Revival. Exalting Jesus - Restoring, Equipping, Releasing & Supporting people... Renewal -Rebirth, Regeneration, Restoration, Rekindling, Revitalisation, Replenishment & Revival. Renewal -Rebirth, Regeneration, Restoration, Rekindling, Revitalisation, Replenishment & Revival. Exalting Jesus - Restoring, Equipping, Releasing & Supporting people... Renewal -Rebirth, Regeneration, Restoration, Rekindling, Revitalisation, Replenishment & Revival. Exalting Jesus - Restoring, Equipping, Releasing & Supporting people... Renewal -Rebirth, Regeneration, Restoration, Rekindling, Revitalisation, Replenishment & Revival. Replenishment & Revival. Exalting Jesus - Restoring, Equipping, Releasing & Supporting people... Renewal -Rebirth, Regeneration, Restoration, Rekindling, Revitalisation, Replenishment & Revival. Exalting Jesus - Restoring, Equipping, Releasing & Supporting people... Renewal -Rebirth, Regeneration, Restoration, Rekindling, Revitalisation, Replenishment & Revival. Exalting Jesus - Restoring, Equipping, Releasing & Supporting people... Renewal -Rebirth, Regeneration, Restoration, Rekindling, Revitalisation, Replenishment & Revival. Renewal -Rebirth, Regeneration, Restoration, Rekindling, Revitalisation, Replenishment & Revival. Exalting Jesus - Restoring, Equipping, Releasing & Supporting people... Renewal -Rebirth, Regeneration, Restoration, Rekindling, Revitalisation, Replenishment & Revival. Exalting Jesus - Restoring, Equipping, Releasing & Supporting people... Renewal -Rebirth, Regeneration, Restoration, Rekindling, Revitalisation, Replenishment & Revival. Replenishment & Revival. Renewal -Rebirth, Regeneration, Restoration, Rekindling, Revitalisation, Replenishment & Revival. Exalting Jesus - Restoring, Equipping, Releasing & Supporting people... Renewal -Rebirth, Regeneration, Restoration, Rekindling, Revitalisation, Replenishment & Revival. Exalting Jesus - Restoring, Equipping, Releasing & Supporting people... Renewal -Rebirth, Regeneration, Restoration, Rekindling, Revitalisation, Replenishment & Revival. Replenishment & Revival. Exalting Jesus - Restoring, Equipping, Releasing & Supporting people... Renewal -Rebirth, Regeneration, Restoration, Rekindling, Revitalisation, Replenishment & Revival. Exalting Jesus - Restoring, Equipping, Releasing & Supporting people... Renewal -Rebirth, Regeneration, Restoration, Rekindling, Revitalisation, Replenishment & Revival. Exalting Jesus - Restoring, Equipping, Releasing & Supporting people... Renewal -Rebirth, Regeneration, Restoration, Rekindling, Revitalisation, Replenishment & Revival. Renewal -Rebirth, Regeneration, Restoration, Rekindling, Revitalisation, Replenishment & Revival. Exalting Jesus - Restoring, Equipping, Releasing & Supporting people... Renewal -Rebirth, Regeneration, Restoration, Rekindling, Revitalisation, Replenishment & Revival. Exalting Jesus - Restoring, Equipping, Releasing & Supporting people... Renewal -Rebirth, Regeneration, Restoration, Rekindling, Revitalisation, Replenishment & Revival. Replenishment & Revival. Exalting Jesus - Restoring, Equipping, Releasing & Supporting people... Renewal -Rebirth, Regeneration, Restoration, Rekindling, Revitalisation, Replenishment & Revival. Exalting Jesus - Restoring, Equipping, Releasing & Supporting people... Renewal -Rebirth, Regeneration, Restoration, Rekindling, Revitalisation, Replenishment & Revival. Exalting Jesus - Restoring, Equipping, Releasing & Supporting people... Renewal -Rebirth, Regeneration, Restoration, Rekindling, Revitalisation, Replenishment & Revival. Renewal -Rebirth, Regeneration, Restoration, Rekindling, Revitalisation, Replenishment & Revival. Exalting Jesus - Restoring, Equipping, Releasing & Supporting people... Renewal -Rebirth, Regeneration, Restoration, Rekindling, Revitalisation, Replenishment & Revival. Exalting Jesus - Restoring, Equipping, Releasing & Supporting people... Renewal -Rebirth, Regeneration, Restoration, Rekindling, Revitalisation, Replenishment & Revival. Replenishment & Revival. Exalting Jesus - Restoring, Equipping, Releasing & Supporting people... Renewal -Rebirth, Regeneration, Restoration, Rekindling, Revitalisation, Replenishment & Revival. Exalting Jesus - Restoring, Equipping, Releasing & Supporting people... Renewal -Rebirth, Regeneration, Restoration, Rekindling, Revitalisation, Replenishment & Revival. Exalting Jesus - Restoring, Equipping, Releasing & Supporting people... Renewal -Rebirth, Regeneration, Restoration, Rekindling, Revitalisation, Replenishment & Revival. Renewal -Rebirth, Regeneration, Restoration, Rekindling, Revitalisation, Replenishment & Revival. Exalting Jesus - Restoring, Equipping, Releasing & Supporting people... Renewal -Rebirth, Regeneration, Restoration, Rekindling, Revitalisation, Replenishment & Revival. Exalting Jesus - Restoring, Equipping, Releasing & Supporting people... Renewal -Rebirth, Regeneration, Restoration, Rekindling, Revitalisation, Replenishment & Revival. Replenishment & Revival. Exalting Jesus - Restoring, Equipping, Releasing & Supporting people... Renewal -Rebirth, Regeneration, Restoration, Rekindling, Revitalisation, Replenishment & Revival. Exalting Jesus - Restoring, Equipping, Releasing & Supporting people... Renewal -Rebirth, Regeneration, Restoration, Rekindling, Revitalisation, Replenishment & Revival. Exalting Jesus - Restoring, Equipping, Releasing & Supporting people... Renewal -Rebirth, Regeneration, Restoration, Rekindling, Revitalisation, Replenishment & Revival. Renewal -Rebirth, Regeneration, Restoration, Rekindling, Revitalisation, Replenishment & Revival. Exalting Jesus - Restoring, Equipping, Releasing & Supporting people... Renewal -Rebirth, Regeneration, Restoration, Rekindling, Revitalisation, Replenishment & Revival. Exalting Jesus - Restoring, Equipping, Releasing & Supporting people... Renewal -Rebirth, Regeneration, Restoration, Rekindling, Revitalisation, Replenishment & Revival. Replenishment & Revival. Exalting Jesus - Restoring, Equipping, Releasing & Supporting people... Renewal -Rebirth, Regeneration, Restoration, Rekindling, Revitalisation, Replenishment & Revival. Exalting Jesus - Restoring, Equipping, Releasing & Supporting people... Renewal -Rebirth, Regeneration, Restoration, Rekindling, Revitalisation, Replenishment & Revival. Exalting Jesus - Restoring, Equipping, Releasing & Supporting people... Renewal -Rebirth, Regeneration, Restoration, Rekindling, Revitalisation, Replenishment & Revival. Renewal -Rebirth, Regeneration, Restoration, Rekindling, Revitalisation, Replenishment & Revival. Exalting Jesus - Restoring, Equipping, Releasing & Supporting people... Renewal -Rebirth, Regeneration, Restoration, Rekindling, Revitalisation, Replenishment & Revival. Exalting Jesus - Restoring, Equipping, Releasing & Supporting people... Renewal -Rebirth, Regeneration, Restoration, Rekindling, Revitalisation, Replenishment & Revival. Replenishment & Revival. Exalting Jesus - Restoring, Equipping, Releasing & Supporting people... Renewal -Rebirth, Regeneration, Restoration, Rekindling, Revitalisation, Replenishment & Revival. Exalting Jesus - Restoring, Equipping, Releasing & Supporting people... Renewal -Rebirth, Regeneration, Restoration, Rekindling, Revitalisation, Replenishment & Revival. Exalting Jesus - Restoring, Equipping, Releasing & Supporting people... Renewal -Rebirth, Regeneration, Restoration, Rekindling, Revitalisation, Replenishment & Revival. Renewal -Rebirth, Regeneration, Restoration, Rekindling, Revitalisation, Replenishment & Revival. Exalting Jesus - Restoring, Equipping, Releasing & Supporting people... Renewal -Rebirth, Regeneration, Restoration, Rekindling, Revitalisation, Replenishment & Revival. Exalting Jesus - Restoring, Equipping, Releasing & Supporting people... Renewal -Rebirth, Regeneration, Restoration, Rekindling, Revitalisation, Replenishment & Revival. Replenishment & Revival. Exalting Jesus - Restoring, Equipping, Releasing & Supporting people... Renewal -Rebirth, Regeneration, Restoration, Rekindling, Revitalisation, Replenishment & Revival. Exalting Jesus - Restoring, Equipping, Releasing & Supporting people... Renewal -Rebirth, Regeneration, Restoration, Rekindling, Revitalisation, Replenishment & Revival. Exalting Jesus - Restoring, Equipping, Releasing & Supporting people... Renewal -Rebirth, Regeneration, Restoration, Rekindling, Revitalisation, Replenishment & Revival. Renewal -Rebirth, Regeneration, Restoration, Rekindling, Revitalisation, Replenishment & Revival. Exalting Jesus - Restoring, Equipping, Releasing & Supporting people... Renewal -Rebirth, Regeneration, Restoration, Rekindling, Revitalisation, Replenishment & Revival. Exalting Jesus - Restoring, Equipping, Releasing & Supporting people... Renewal -Rebirth, Regeneration, Restoration, Rekindling, Revitalisation, Replenishment & Revival. Replenishment & Revival. Exalting Jesus - Restoring, Equipping, Releasing & Supporting people... Renewal -Rebirth, Regeneration, Restoration, Rekindling, Revitalisation, Replenishment & Revival. Exalting Jesus - Restoring, Equipping, Releasing & Supporting people... Renewal -Rebirth, Regeneration, Restoration, Rekindling, Revitalisation, Replenishment & Revival. Exalting Jesus - Restoring, Equipping, Releasing & Supporting people... Renewal -Rebirth, Regeneration, Restoration, Rekindling, Revitalisation, Replenishment & Revival. Renewal -Rebirth, Regeneration, Restoration, Rekindling, Revitalisation, Replenishment & Revival. Exalting Jesus - Restoring, Equipping, Releasing & Supporting people... Renewal -Rebirth, Regeneration, Restoration, Rekindling, Revitalisation, Replenishment & Revival. Exalting Jesus - Restoring, Equipping, Releasing & Supporting people... Renewal -Rebirth, Regeneration, Restoration, Rekindling, Revitalisation, Replenishment & Revival. Replenishment & Revival. Exalting Jesus - Restoring, Equipping, Releasing & Supporting people... Renewal -Rebirth, Regeneration, Restoration, Rekindling, Revitalisation, Replenishment & Revival. Exalting Jesus - Restoring, Equipping, Releasing & Supporting people... Renewal -Rebirth, Regeneration, Restoration, Rekindling, Revitalisation, Replenishment & Revival. Exalting Jesus - Restoring, Equipping, Releasing & Supporting people... Renewal -Rebirth, Regeneration, Restoration, Rekindling, Revitalisation, Replenishment & Revival. Renewal -Rebirth, Regeneration, Restoration, Rekindling, Revitalisation, Replenishment & Revival. Exalting Jesus - Restoring, Equipping, Releasing & Supporting people... Renewal -Rebirth, Regeneration, Restoration, Rekindling, Revitalisation, Replenishment & Revival. Exalting Jesus - Restoring, Equipping, Releasing & Supporting people... Renewal -Rebirth, Regeneration, Restoration, Rekindling, Revitalisation, Replenishment & Revival. Replenishment & Revival. Exalting Jesus - Restoring, Equipping, Releasing & Supporting people... Renewal -Rebirth, Regeneration, Restoration, Rekindling, Revitalisation, Replenishment & Revival. Exalting Jesus - Restoring, Equipping, Releasing & Supporting people... Renewal -Rebirth, Regeneration, Restoration, Rekindling, Revitalisation, Replenishment & Revival. Exalting Jesus - Restoring, Equipping, Releasing & Supporting people... Renewal -Rebirth, Regeneration, Restoration, Rekindling, Revitalisation, Replenishment & Revival. Renewal -Rebirth, Regeneration, Restoration, Rekindling, Revitalisation, Replenishment & Revival. Exalting Jesus - Restoring, Equipping, Releasing & Supporting people... Renewal -Rebirth, Regeneration, Restoration, Rekindling, Revitalisation, Replenishment & Revival. Exalting Jesus - Restoring, Equipping, Releasing & Supporting people... Renewal -Rebirth, Regeneration, Restoration, Rekindling, Revitalisation, Replenishment & Revival. Replenishment & Revival. Exalting Jesus - Restoring, Equipping, Releasing & Supporting people... Renewal -Rebirth, Regeneration, Restoration, Rekindling, Revitalisation, Replenishment & Revival. Exalting Jesus - Restoring, Equipping, Releasing & Supporting people... Renewal -Rebirth, Regeneration, Restoration, Rekindling, Revitalisation, Replenishment & Revival. Exalting Jesus - Restoring, Equipping, Releasing & Supporting people... Renewal -Rebirth, Regeneration, Restoration, Rekindling, Revitalisation, Replenishment & Revival. Renewal -Rebirth, Regeneration, Restoration, Rekindling, Revitalisation, Replenishment & Revival. Exalting Jesus - Restoring, Equipping, Releasing & Supporting people... Renewal -Rebirth, Regeneration, Restoration, Rekindling, Revitalisation, Replenishment & Revival. Exalting Jesus - Restoring, Equipping, Releasing & Supporting people... Renewal -Rebirth, Regeneration, Restoration, Rekindling, Revitalisation, Replenishment & Revival. Replenishment & Revival. Renewal -Rebirth, Regeneration, Restoration, Rekindling, Revitalisation, Replenishment & Revival. Exalting Jesus - Restoring, Equipping, Releasing & Supporting people... Renewal -Rebirth, Regeneration, Restoration, Rekindling, Revitalisation, Replenishment & Revival. Exalting Jesus - Restoring, Equipping, Releasing & Supporting people... Renewal -Rebirth, Regeneration, Restoration, Rekindling, Revitalisation, Replenishment & Revival. Replenishment & Revival. Exalting Jesus - Restoring, Equipping, Releasing & Supporting people... Renewal -Rebirth, Regeneration, Restoration, Rekindling, Revitalisation, Replenishment & Revival. Exalting Jesus - Restoring, Equipping, Releasing & Supporting people... Renewal -Rebirth, Regeneration, Restoration, Rekindling, Revitalisation, Replenishment & Revival. Exalting Jesus - Restoring, Equipping, Releasing & Supporting people... Renewal -Rebirth, Regeneration, Restoration, Rekindling, Revitalisation, Replenishment & Revival. Renewal -Rebirth, Regeneration, Restoration, Rekindling, Revitalisation, Replenishment & Revival. Exalting Jesus - Restoring, Equipping, Releasing & Supporting people... Renewal -Rebirth, Regeneration, Restoration, Rekindling, Revitalisation, Replenishment & Revival. Exalting Jesus - Restoring, Equipping, Releasing & Supporting people... Renewal -Rebirth, Regeneration, Restoration, Rekindling, Revitalisation, Replenishment & Revival. Replenishment & Revival. Exalting Jesus - Restoring, Equipping, Releasing & Supporting people... Renewal -Rebirth, Regeneration, Restoration, Rekindling, Revitalisation, Replenishment & Revival. Exalting Jesus - Restoring, Equipping, Releasing & Supporting people... Renewal -Rebirth, Regeneration, Restoration, Rekindling, Revitalisation, Replenishment & Revival. Exalting Jesus - Restoring, Equipping, Releasing & Supporting people... Renewal -Rebirth, Regeneration, Restoration, Rekindling, Revitalisation, Replenishment & Revival. Renewal -Rebirth, Regeneration, Restoration, Rekindling, Revitalisation, Replenishment & Revival. Exalting Jesus - Restoring, Equipping, Releasing & Supporting people... Renewal -Rebirth, Regeneration, Restoration, Rekindling, Revitalisation, Replenishment & Revival. Exalting Jesus - Restoring, Equipping, Releasing & Supporting people... Renewal -Rebirth, Regeneration, Restoration, Rekindling, Revitalisation, Replenishment & Revival. Replenishment & Revival. Exalting Jesus - Restoring, Equipping, Releasing & Supporting people... Renewal -Rebirth, Regeneration, Restoration, Rekindling, Revitalisation, Replenishment & Revival. Exalting Jesus - Restoring, Equipping, Releasing & Supporting people... Renewal -Rebirth, Regeneration, Restoration, Rekindling, Revitalisation, Replenishment & Revival. Exalting Jesus - Restoring, Equipping, Releasing & Supporting people... Renewal -Rebirth, Regeneration, Restoration, Rekindling, Revitalisation, Replenishment & Revival. Renewal -Rebirth, Regeneration, Restoration, Rekindling, Revitalisation, Replenishment & Revival. Exalting Jesus - Restoring, Equipping, Releasing & Supporting people... Renewal -Rebirth, Regeneration, Restoration, Rekindling, Revitalisation, Replenishment & Revival. Exalting Jesus - Restoring, Equipping, Releasing & Supporting people... Renewal -Rebirth, Regeneration, Restoration, Rekindling, Revitalisation, Replenishment & Revival. Replenishment & Revival. Exalting Jesus - Restoring, Equipping, Releasing & Supporting people... Renewal -Rebirth, Regeneration, Restoration, Rekindling, Revitalisation, Replenishment & Revival. Exalting Jesus - Restoring, Equipping, Releasing & Supporting people... Renewal -Rebirth, Regeneration, Restoration, Rekindling, Revitalisation, Replenishment & Revival. Exalting Jesus - Restoring, Equipping, Releasing & Supporting people... Renewal -Rebirth, Regeneration, Restoration, Rekindling, Revitalisation, Replenishment & Revival. Renewal -Rebirth, Regeneration, Restoration, Rekindling, Revitalisation, Replenishment & Revival. Exalting Jesus - Restoring, Equipping, Releasing & Supporting people... Renewal -Rebirth, Regeneration, Restoration, Rekindling, Revitalisation, Replenishment & Revival. Exalting Jesus - Restoring, Equipping, Releasing & Supporting people... Renewal -Rebirth, Regeneration, Restoration, Rekindling, Revitalisation, Replenishment & Revival. Replenishment & Revival. Exalting Jesus - Restoring, Equipping, Releasing & Supporting people... Renewal -Rebirth, Regeneration, Restoration, Rekindling, Revitalisation, Replenishment & Revival. Exalting Jesus - Restoring, Equipping, Releasing & Supporting people... Renewal -Rebirth, Regeneration, Restoration, Rekindling, Revitalisation, Replenishment & Revival. Exalting Jesus - Restoring, Equipping, Releasing & Supporting people... Renewal -Rebirth, Regeneration, Restoration, Rekindling, Revitalisation, Replenishment & Revival. Renewal -Rebirth, Regeneration, Restoration, Rekindling, Revitalisation, Replenishment & Revival. Exalting Jesus - Restoring, Equipping, Releasing & Supporting people... Renewal -Rebirth, Regeneration, Restoration, Rekindling, Revitalisation, Replenishment & Revival. Exalting Jesus - Restoring, Equipping, Releasing & Supporting people... Renewal -Rebirth, Regeneration, Restoration, Rekindling, Revitalisation, Replenishment & Revival. Replenishment & Revival. Exalting Jesus - Restoring, Equipping, Releasing & Supporting people... Renewal -Rebirth, Regeneration, Restoration, Rekindling, Revitalisation, Replenishment & Revival. Exalting Jesus - Restoring, Equipping, Releasing & Supporting people... Renewal -Rebirth, Regeneration, Restoration, Rekindling, Revitalisation, Replenishment & Revival. Exalting Jesus - Restoring, Equipping, Releasing & Supporting people... Renewal -Rebirth, Regeneration, Restoration, Rekindling, Revitalisation, Replenishment & Revival. Renewal -Rebirth, Regeneration, Restoration, Rekindling, Revitalisation, Replenishment & Revival. Exalting Jesus - Restoring, Equipping, Releasing & Supporting people... Renewal -Rebirth, Regeneration, Restoration, Rekindling, Revitalisation, Replenishment & Revival. Exalting Jesus - Restoring, Equipping, Releasing & Supporting people... Renewal -Rebirth, Regeneration, Restoration, Rekindling, Revitalisation, Replenishment & Revival. Replenishment & Revival. Exalting Jesus - Restoring, Equipping, Releasing & Supporting people... Renewal -Rebirth, Regeneration, Restoration, Rekindling, Revitalisation, Replenishment & Revival. Exalting Jesus - Restoring, Equipping, Releasing & Supporting people... Renewal -Rebirth, Regeneration, Restoration, Rekindling, Revitalisation, Replenishment & Revival. Exalting Jesus - Restoring, Equipping, Releasing & Supporting people... Renewal -Rebirth, Regeneration, Restoration, Rekindling, Revitalisation, Replenishment & Revival. Renewal -Rebirth, Regeneration, Restoration, Rekindling, Revitalisation, Replenishment & Revival. Exalting Jesus - Restoring, Equipping, Releasing & Supporting people... Renewal -Rebirth, Regeneration, Restoration, Rekindling, Revitalisation, Replenishment & Revival. Exalting Jesus - Restoring, Equipping, Releasing & Supporting people... Renewal -Rebirth, Regeneration, Restoration, Rekindling, Revitalisation, Replenishment & Revival. Replenishment & Revival. Exalting Jesus - Restoring, Equipping, Releasing & Supporting people... Renewal -Rebirth, Regeneration, Restoration, Rekindling, Revitalisation, Replenishment & Revival. Exalting Jesus - Restoring, Equipping, Releasing & Supporting people... Renewal -Rebirth, Regeneration, Restoration, Rekindling, Revitalisation, Replenishment & Revival. Exalting Jesus - Restoring, Equipping, Releasing & Supporting people... Renewal -Rebirth, Regeneration, Restoration, Rekindling, Revitalisation, Replenishment & Revival. Renewal -Rebirth, Regeneration, Restoration, Rekindling, Revitalisation, Replenishment & Revival. Exalting Jesus - Restoring, Equipping, Releasing & Supporting people... Renewal -Rebirth, Regeneration, Restoration, Rekindling, Revitalisation, Replenishment & Revival. Exalting Jesus - Restoring, Equipping, Releasing & Supporting people... Renewal -Rebirth, Regeneration, Restoration, Rekindling, Revitalisation, Replenishment & Revival. Replenishment & Revival. Exalting Jesus - Restoring, Equipping, Releasing & Supporting people... Renewal -Rebirth, Regeneration, Restoration, Rekindling, Revitalisation, Replenishment & Revival. Exalting Jesus - Restoring, Equipping, Releasing & Supporting people... Renewal -Rebirth, Regeneration, Restoration, Rekindling, Revitalisation, Replenishment & Revival. Exalting Jesus - Restoring, Equipping, Releasing & Supporting people... Renewal -Rebirth, Regeneration, Restoration, Rekindling, Revitalisation, Replenishment & Revival. Renewal -Rebirth, Regeneration, Restoration, Rekindling, Revitalisation, Replenishment & Revival. Exalting Jesus - Restoring, Equipping, Releasing & Supporting people... Renewal -Rebirth, Regeneration, Restoration, Rekindling, Revitalisation, Replenishment & Revival. Exalting Jesus - Restoring, Equipping, Releasing & Supporting people... Renewal -Rebirth, Regeneration, Restoration, Rekindling, Revitalisation, Replenishment & Revival. Replenishment & Revival. Exalting Jesus - Restoring, Equipping, Releasing & Supporting people... Renewal -Rebirth, Regeneration, Restoration, Rekindling, Revitalisation, Replenishment & Revival. Exalting Jesus - Restoring, Equipping, Releasing & Supporting people... Renewal -Rebirth, Regeneration, Restoration, Rekindling, Revitalisation, Replenishment & Revival. Exalting Jesus - Restoring, Equipping, Releasing & Supporting people... Renewal -Rebirth, Regeneration, Restoration, Rekindling, Revitalisation, Replenishment & Revival. Renewal -Rebirth, Regeneration, Restoration, Rekindling, Revitalisation, Replenishment & Revival. Exalting Jesus - Restoring, Equipping, Releasing & Supporting people... Renewal -Rebirth, Regeneration, Restoration, Rekindling, Revitalisation, Replenishment & Revival. Exalting Jesus - Restoring, Equipping, Releasing & Supporting people... Renewal -Rebirth, Regeneration, Restoration, Rekindling, Revitalisation, Replenishment & Revival. Replenishment & Revival. Exalting Jesus - Restoring, Equipping, Releasing & Supporting people... Renewal -Rebirth, Regeneration, Restoration, Rekindling, Revitalisation, Replenishment & Revival. Exalting Jesus - Restoring, Equipping, Releasing & Supporting people... Renewal -Rebirth, Regeneration, Restoration, Rekindling, Revitalisation, Replenishment & Revival. Exalting Jesus - Restoring, Equipping, Releasing & Supporting people... Renewal -Rebirth, Regeneration, Restoration, Rekindling, Revitalisation, Replenishment & Revival. Renewal -Rebirth, Regeneration, Restoration, Rekindling, Revitalisation, Replenishment & Revival. Exalting Jesus - Restoring, Equipping, Releasing & Supporting people... Renewal -Rebirth, Regeneration, Restoration, Rekindling, Revitalisation, Replenishment & Revival. Exalting Jesus - Restoring, Equipping, Releasing & Supporting people... Renewal -Rebirth, Regeneration, Restoration, Rekindling, Revitalisation, Replenishment & Revival. Replenishment & Revival. Renewal -Rebirth, Regeneration, Restoration, Rekindling, Revitalisation, Replenishment & Revival. Exalting Jesus - Restoring, Equipping, Releasing & Supporting people... Renewal -Rebirth, Regeneration, Restoration, Rekindling, Revitalisation, Replenishment & Revival. Exalting Jesus - Restoring, Equipping, Releasing & Supporting people... Renewal -Rebirth, Regeneration, Restoration, Rekindling, Revitalisation, Replenishment & Revival. Replenishment & Revival. Exalting Jesus - Restoring, Equipping, Releasing & Supporting people... Renewal -Rebirth, Regeneration, Restoration, Rekindling, Revitalisation, Replenishment & Revival. Exalting Jesus - Restoring, Equipping, Releasing & Supporting people... Renewal -Rebirth, Regeneration, Restoration, Rekindling, Revitalisation, Replenishment & Revival. Exalting Jesus - Restoring, Equipping, Releasing & Supporting people... Renewal -Rebirth, Regeneration, Restoration, Rekindling, Revitalisation, Replenishment & Revival. Renewal -Rebirth, Regeneration, Restoration, Rekindling, Revitalisation, Replenishment & Revival. Exalting Jesus - Restoring, Equipping, Releasing & Supporting people... Renewal -Rebirth, Regeneration, Restoration, Rekindling, Revitalisation, Replenishment & Revival. Exalting Jesus - Restoring, Equipping, Releasing & Supporting people... Renewal -Rebirth, Regeneration, Restoration, Rekindling, Revitalisation, Replenishment & Revival. Replenishment & Revival. Exalting Jesus - Restoring, Equipping, Releasing & Supporting people... Renewal -Rebirth, Regeneration, Restoration, Rekindling, Revitalisation, Replenishment & Revival. Exalting Jesus - Restoring, Equipping, Releasing & Supporting people... Renewal -Rebirth, Regeneration, Restoration, Rekindling, Revitalisation, Replenishment & Revival. Exalting Jesus - Restoring, Equipping, Releasing & Supporting people... Renewal -Rebirth, Regeneration, Restoration, Rekindling, Revitalisation, Replenishment & Revival. Renewal -Rebirth, Regeneration, Restoration, Rekindling, Revitalisation, Replenishment & Revival. Exalting Jesus - Restoring, Equipping, Releasing & Supporting people... Renewal -Rebirth, Regeneration, Restoration, Rekindling, Revitalisation, Replenishment & Revival. Exalting Jesus - Restoring, Equipping, Releasing & Supporting people... Renewal -Rebirth, Regeneration, Restoration, Rekindling, Revitalisation, Replenishment & Revival. Replenishment & Revival. Exalting Jesus - Restoring, Equipping, Releasing & Supporting people... Renewal -Rebirth, Regeneration, Restoration, Rekindling, Revitalisation, Replenishment & Revival. Exalting Jesus - Restoring, Equipping, Releasing & Supporting people... Renewal -Rebirth, Regeneration, Restoration, Rekindling, Revitalisation, Replenishment & Revival. Exalting Jesus - Restoring, Equipping, Releasing & Supporting people... Renewal -Rebirth, Regeneration, Restoration, Rekindling, Revitalisation, Replenishment & Revival. Renewal -Rebirth, Regeneration, Restoration, Rekindling, Revitalisation, Replenishment & Revival. Exalting Jesus - Restoring, Equipping, Releasing & Supporting people... Renewal -Rebirth, Regeneration, Restoration, Rekindling, Revitalisation, Replenishment & Revival. Exalting Jesus - Restoring, Equipping, Releasing & Supporting people... Renewal -Rebirth, Regeneration, Restoration, Rekindling, Revitalisation, Replenishment & Revival. Replenishment & Revival. Exalting Jesus - Restoring, Equipping, Releasing & Supporting people... Renewal -Rebirth, Regeneration, Restoration, Rekindling, Revitalisation, Replenishment & Revival. Exalting Jesus - Restoring, Equipping, Releasing & Supporting people... Renewal -Rebirth, Regeneration, Restoration, Rekindling, Revitalisation, Replenishment & Revival. Exalting Jesus - Restoring, Equipping, Releasing & Supporting people... Renewal -Rebirth, Regeneration, Restoration, Rekindling, Revitalisation, Replenishment & Revival. Renewal -Rebirth, Regeneration, Restoration, Rekindling, Revitalisation, Replenishment & Revival. Exalting Jesus - Restoring, Equipping, Releasing & Supporting people... Renewal -Rebirth, Regeneration, Restoration, Rekindling, Revitalisation, Replenishment & Revival. Exalting Jesus - Restoring, Equipping, Releasing & Supporting people... Renewal -Rebirth, Regeneration, Restoration, Rekindling, Revitalisation, Replenishment & Revival. Replenishment & Revival. Exalting Jesus - Restoring, Equipping, Releasing & Supporting people... Renewal -Rebirth, Regeneration, Restoration, Rekindling, Revitalisation, Replenishment & Revival. Exalting Jesus - Restoring, Equipping, Releasing & Supporting people... Renewal -Rebirth, Regeneration, Restoration, Rekindling, Revitalisation, Replenishment & Revival. Exalting Jesus - Restoring, Equipping, Releasing & Supporting people... Renewal -Rebirth, Regeneration, Restoration, Rekindling, Revitalisation, Replenishment & Revival. Renewal -Rebirth, Regeneration, Restoration, Rekindling, Revitalisation, Replenishment & Revival. Exalting Jesus - Restoring, Equipping, Releasing & Supporting people... Renewal -Rebirth, Regeneration, Restoration, Rekindling, Revitalisation, Replenishment & Revival. Exalting Jesus - Restoring, Equipping, Releasing & Supporting people... Renewal -Rebirth, Regeneration, Restoration, Rekindling, Revitalisation, Replenishment & Revival. Replenishment & Revival. Exalting Jesus - Restoring, Equipping, Releasing & Supporting people... Renewal -Rebirth, Regeneration, Restoration, Rekindling, Revitalisation, Replenishment & Revival. Exalting Jesus - Restoring, Equipping, Releasing & Supporting people... Renewal -Rebirth, Regeneration, Restoration, Rekindling, Revitalisation, Replenishment & Revival. Exalting Jesus - Restoring, Equipping, Releasing & Supporting people... Renewal -Rebirth, Regeneration, Restoration, Rekindling, Revitalisation, Replenishment & Revival. Renewal -Rebirth, Regeneration, Restoration, Rekindling, Revitalisation, Replenishment & Revival. Exalting Jesus - Restoring, Equipping, Releasing & Supporting people... Renewal -Rebirth, Regeneration, Restoration, Rekindling, Revitalisation, Replenishment & Revival. Exalting Jesus - Restoring, Equipping, Releasing & Supporting people... Renewal -Rebirth, Regeneration, Restoration, Rekindling, Revitalisation, Replenishment & Revival. Replenishment & Revival. Exalting Jesus - Restoring, Equipping, Releasing & Supporting people... Renewal -Rebirth, Regeneration, Restoration, Rekindling, Revitalisation, Replenishment & Revival. Exalting Jesus - Restoring, Equipping, Releasing & Supporting people... Renewal -Rebirth, Regeneration, Restoration, Rekindling, Revitalisation, Replenishment & Revival. Exalting Jesus - Restoring, Equipping, Releasing & Supporting people... Renewal -Rebirth, Regeneration, Restoration, Rekindling, Revitalisation, Replenishment & Revival. Renewal -Rebirth, Regeneration, Restoration, Rekindling, Revitalisation, Replenishment & Revival. Exalting Jesus - Restoring, Equipping, Releasing & Supporting people... Renewal -Rebirth, Regeneration, Restoration, Rekindling, Revitalisation, Replenishment & Revival. Exalting Jesus - Restoring, Equipping, Releasing & Supporting people... Renewal -Rebirth, Regeneration, Restoration, Rekindling, Revitalisation, Replenishment & Revival. Replenishment & Revival. Exalting Jesus - Restoring, Equipping, Releasing & Supporting people... Renewal -Rebirth, Regeneration, Restoration, Rekindling, Revitalisation, Replenishment & Revival. Exalting Jesus - Restoring, Equipping, Releasing & Supporting people... Renewal -Rebirth, Regeneration, Restoration, Rekindling, Revitalisation, Replenishment & Revival. Exalting Jesus - Restoring, Equipping, Releasing & Supporting people... Renewal -Rebirth, Regeneration, Restoration, Rekindling, Revitalisation, Replenishment & Revival. Renewal -Rebirth, Regeneration, Restoration, Rekindling, Revitalisation, Replenishment & Revival. Exalting Jesus - Restoring, Equipping, Releasing & Supporting people... Renewal -Rebirth, Regeneration, Restoration, Rekindling, Revitalisation, Replenishment & Revival. Exalting Jesus - Restoring, Equipping, Releasing & Supporting people... Renewal -Rebirth, Regeneration, Restoration, Rekindling, Revitalisation, Replenishment & Revival. Replenishment & Revival. Exalting Jesus - Restoring, Equipping, Releasing & Supporting people... Renewal -Rebirth, Regeneration, Restoration, Rekindling, Revitalisation, Replenishment & Revival. Exalting Jesus - Restoring, Equipping, Releasing & Supporting people... Renewal -Rebirth, Regeneration, Restoration, Rekindling, Revitalisation, Replenishment & Revival. Exalting Jesus - Restoring, Equipping, Releasing & Supporting people... Renewal -Rebirth, Regeneration, Restoration, Rekindling, Revitalisation, Replenishment & Revival. Renewal -Rebirth, Regeneration, Restoration, Rekindling, Revitalisation, Replenishment & Revival. Exalting Jesus - Restoring, Equipping, Releasing & Supporting people... Renewal -Rebirth, Regeneration, Restoration, Rekindling, Revitalisation, Replenishment & Revival. Exalting Jesus - Restoring, Equipping, Releasing & Supporting people... Renewal -Rebirth, Regeneration, Restoration, Rekindling, Revitalisation, Replenishment & Revival. Replenishment & Revival. Exalting Jesus - Restoring, Equipping, Releasing & Supporting people... Renewal -Rebirth, Regeneration, Restoration, Rekindling, Revitalisation, Replenishment & Revival. Exalting Jesus - Restoring, Equipping, Releasing & Supporting people... Renewal -Rebirth, Regeneration, Restoration, Rekindling, Revitalisation, Replenishment & Revival. Exalting Jesus - Restoring, Equipping, Releasing & Supporting people... Renewal -Rebirth, Regeneration, Restoration, Rekindling, Revitalisation, Replenishment & Revival. Renewal -Rebirth, Regeneration, Restoration, Rekindling, Revitalisation, Replenishment & Revival. Exalting Jesus - Restoring, Equipping, Releasing & Supporting people... Renewal -Rebirth, Regeneration, Restoration, Rekindling, Revitalisation, Replenishment & Revival. Exalting Jesus - Restoring, Equipping, Releasing & Supporting people... Renewal -Rebirth, Regeneration, Restoration, Rekindling, Revitalisation, Replenishment & Revival. Replenishment & Revival. Exalting Jesus - Restoring, Equipping, Releasing & Supporting people... Renewal -Rebirth, Regeneration, Restoration, Rekindling, Revitalisation, Replenishment & Revival. Exalting Jesus - Restoring, Equipping, Releasing & Supporting people... Renewal -Rebirth, Regeneration, Restoration, Rekindling, Revitalisation, Replenishment & Revival. Exalting Jesus - Restoring, Equipping, Releasing & Supporting people... Renewal -Rebirth, Regeneration, Restoration, Rekindling, Revitalisation, Replenishment & Revival. Renewal -Rebirth, Regeneration, Restoration, Rekindling, Revitalisation, Replenishment & Revival. Exalting Jesus - Restoring, Equipping, Releasing & Supporting people... Renewal -Rebirth, Regeneration, Restoration, Rekindling, Revitalisation, Replenishment & Revival. Exalting Jesus - Restoring, Equipping, Releasing & Supporting people... Renewal -Rebirth, Regeneration, Restoration, Rekindling, Revitalisation, Replenishment & Revival. Replenishment & Revival. Renewal -Rebirth, Regeneration, Restoration, Rekindling, Revitalisation, Replenishment & Revival. Exalting Jesus - Restoring, Equipping, Releasing & Supporting people... Renewal -Rebirth, Regeneration, Restoration, Rekindling, Revitalisation, Replenishment & Revival. Exalting Jesus - Restoring, Equipping, Releasing & Supporting people... Renewal -Rebirth, Regeneration, Restoration, Rekindling, Revitalisation, Replenishment & Revival. Replenishment & Revival. Exalting Jesus - Restoring, Equipping, Releasing & Supporting people... Renewal -Rebirth, Regeneration, Restoration, Rekindling, Revitalisation, Replenishment & Revival. Exalting Jesus - Restoring, Equipping, Releasing & Supporting people... Renewal -Rebirth, Regeneration, Restoration, Rekindling, Revitalisation, Replenishment & Revival. Exalting Jesus - Restoring, Equipping, Releasing & Supporting people... Renewal -Rebirth, Regeneration, Restoration, Rekindling, Revitalisation, Replenishment & Revival. Renewal -Rebirth, Regeneration, Restoration, Rekindling, Revitalisation, Replenishment & Revival. Exalting Jesus - Restoring, Equipping, Releasing & Supporting people... Renewal -Rebirth, Regeneration, Restoration, Rekindling, Revitalisation, Replenishment & Revival. Exalting Jesus - Restoring, Equipping, Releasing & Supporting people... Renewal -Rebirth, Regeneration, Restoration, Rekindling, Revitalisation, Replenishment & Revival. Replenishment & Revival. Exalting Jesus - Restoring, Equipping, Releasing & Supporting people... Renewal -Rebirth, Regeneration, Restoration, Rekindling, Revitalisation, Replenishment & Revival. Exalting Jesus - Restoring, Equipping, Releasing & Supporting people... Renewal -Rebirth, Regeneration, Restoration, Rekindling, Revitalisation, Replenishment & Revival. Exalting Jesus - Restoring, Equipping, Releasing & Supporting people... Renewal -Rebirth, Regeneration, Restoration, Rekindling, Revitalisation, Replenishment & Revival. Renewal -Rebirth, Regeneration, Restoration, Rekindling, Revitalisation, Replenishment & Revival. Exalting Jesus - Restoring, Equipping, Releasing & Supporting people... Renewal -Rebirth, Regeneration, Restoration, Rekindling, Revitalisation, Replenishment & Revival. Exalting Jesus - Restoring, Equipping, Releasing & Supporting people... Renewal -Rebirth, Regeneration, Restoration, Rekindling, Revitalisation, Replenishment & Revival. Replenishment & Revival. Exalting Jesus - Restoring, Equipping, Releasing & Supporting people... Renewal -Rebirth, Regeneration, Restoration, Rekindling, Revitalisation, Replenishment & Revival. Exalting Jesus - Restoring, Equipping, Releasing & Supporting people... Renewal -Rebirth, Regeneration, Restoration, Rekindling, Revitalisation, Replenishment & Revival. Exalting Jesus - Restoring, Equipping, Releasing & Supporting people... Renewal -Rebirth, Regeneration, Restoration, Rekindling, Revitalisation, Replenishment & Revival. Renewal -Rebirth, Regeneration, Restoration, Rekindling, Revitalisation, Replenishment & Revival. Exalting Jesus - Restoring, Equipping, Releasing & Supporting people... Renewal -Rebirth, Regeneration, Restoration, Rekindling, Revitalisation, Replenishment & Revival. Exalting Jesus - Restoring, Equipping, Releasing & Supporting people... Renewal -Rebirth, Regeneration, Restoration, Rekindling, Revitalisation, Replenishment & Revival. Replenishment & Revival. Exalting Jesus - Restoring, Equipping, Releasing & Supporting people... Renewal -Rebirth, Regeneration, Restoration, Rekindling, Revitalisation, Replenishment & Revival. Exalting Jesus - Restoring, Equipping, Releasing & Supporting people... Renewal -Rebirth, Regeneration, Restoration, Rekindling, Revitalisation, Replenishment & Revival. Exalting Jesus - Restoring, Equipping, Releasing & Supporting people... Renewal -Rebirth, Regeneration, Restoration, Rekindling, Revitalisation, Replenishment & Revival. Renewal -Rebirth, Regeneration, Restoration, Rekindling, Revitalisation, Replenishment & Revival. Exalting Jesus - Restoring, Equipping, Releasing & Supporting people... Renewal -Rebirth, Regeneration, Restoration, Rekindling, Revitalisation, Replenishment & Revival. Exalting Jesus - Restoring, Equipping, Releasing & Supporting people... Renewal -Rebirth, Regeneration, Restoration, Rekindling, Revitalisation, Replenishment & Revival. Replenishment & Revival. Exalting Jesus - Restoring, Equipping, Releasing & Supporting people... Renewal -Rebirth, Regeneration, Restoration, Rekindling, Revitalisation, Replenishment & Revival. Exalting Jesus - Restoring, Equipping, Releasing & Supporting people... Renewal -Rebirth, Regeneration, Restoration, Rekindling, Revitalisation, Replenishment & Revival. Exalting Jesus - Restoring, Equipping, Releasing & Supporting people... Renewal -Rebirth, Regeneration, Restoration, Rekindling, Revitalisation, Replenishment & Revival. Renewal -Rebirth, Regeneration, Restoration, Rekindling, Revitalisation, Replenishment & Revival. Exalting Jesus - Restoring, Equipping, Releasing & Supporting people... Renewal -Rebirth, Regeneration, Restoration, Rekindling, Revitalisation, Replenishment & Revival. Exalting Jesus - Restoring, Equipping, Releasing & Supporting people... Renewal -Rebirth, Regeneration, Restoration, Rekindling, Revitalisation, Replenishment & Revival. Replenishment & Revival. Exalting Jesus - Restoring, Equipping, Releasing & Supporting people... Renewal -Rebirth, Regeneration, Restoration, Rekindling, Revitalisation, Replenishment & Revival. Exalting Jesus - Restoring, Equipping, Releasing & Supporting people... Renewal -Rebirth, Regeneration, Restoration, Rekindling, Revitalisation, Replenishment & Revival. Exalting Jesus - Restoring, Equipping, Releasing & Supporting people... Renewal -Rebirth, Regeneration, Restoration, Rekindling, Revitalisation, Replenishment & Revival. Renewal -Rebirth, Regeneration, Restoration, Rekindling, Revitalisation, Replenishment & Revival. Exalting Jesus - Restoring, Equipping, Releasing & Supporting people... Renewal -Rebirth, Regeneration, Restoration, Rekindling, Revitalisation, Replenishment & Revival. Exalting Jesus - Restoring, Equipping, Releasing & Supporting people... Renewal -Rebirth, Regeneration, Restoration, Rekindling, Revitalisation, Replenishment & Revival. Replenishment & Revival. Exalting Jesus - Restoring, Equipping, Releasing & Supporting people... Renewal -Rebirth, Regeneration, Restoration, Rekindling, Revitalisation, Replenishment & Revival. Exalting Jesus - Restoring, Equipping, Releasing & Supporting people... Renewal -Rebirth, Regeneration, Restoration, Rekindling, Revitalisation, Replenishment & Revival. Exalting Jesus - Restoring, Equipping, Releasing & Supporting people... Renewal -Rebirth, Regeneration, Restoration, Rekindling, Revitalisation, Replenishment & Revival. Renewal -Rebirth, Regeneration, Restoration, Rekindling, Revitalisation, Replenishment & Revival. Exalting Jesus - Restoring, Equipping, Releasing & Supporting people... Renewal -Rebirth, Regeneration, Restoration, Rekindling, Revitalisation, Replenishment & Revival. Exalting Jesus - Restoring, Equipping, Releasing & Supporting people... Renewal -Rebirth, Regeneration, Restoration, Rekindling, Revitalisation, Replenishment & Revival. Replenishment & Revival. Exalting Jesus - Restoring, Equipping, Releasing & Supporting people... Renewal -Rebirth, Regeneration, Restoration, Rekindling, Revitalisation, Replenishment & Revival. Exalting Jesus - Restoring, Equipping, Releasing & Supporting people... Renewal -Rebirth, Regeneration, Restoration, Rekindling, Revitalisation, Replenishment & Revival. Exalting Jesus - Restoring, Equipping, Releasing & Supporting people... Renewal -Rebirth, Regeneration, Restoration, Rekindling, Revitalisation, Replenishment & Revival. Renewal -Rebirth, Regeneration, Restoration, Rekindling, Revitalisation, Replenishment & Revival. Exalting Jesus - Restoring, Equipping, Releasing & Supporting people... Renewal -Rebirth, Regeneration, Restoration, Rekindling, Revitalisation, Replenishment & Revival. Exalting Jesus - Restoring, Equipping, Releasing & Supporting people... Renewal -Rebirth, Regeneration, Restoration, Rekindling, Revitalisation, Replenishment & Revival. Replenishment & Revival. Exalting Jesus - Restoring, Equipping, Releasing & Supporting people... Renewal -Rebirth, Regeneration, Restoration, Rekindling, Revitalisation, Replenishment & Revival. Exalting Jesus - Restoring, Equipping, Releasing & Supporting people... Renewal -Rebirth, Regeneration, Restoration, Rekindling, Revitalisation, Replenishment & Revival. Exalting Jesus - Restoring, Equipping, Releasing & Supporting people... Renewal -Rebirth, Regeneration, Restoration, Rekindling, Revitalisation, Replenishment & Revival. Renewal -Rebirth, Regeneration, Restoration, Rekindling, Revitalisation, Replenishment & Revival. Exalting Jesus - Restoring, Equipping, Releasing & Supporting people... Renewal -Rebirth, Regeneration, Restoration, Rekindling, Revitalisation, Replenishment & Revival. Exalting Jesus - Restoring, Equipping, Releasing & Supporting people... Renewal -Rebirth, Regeneration, Restoration, Rekindling, Revitalisation, Replenishment & Revival. Replenishment & Revival. Exalting Jesus - Restoring, Equipping, Releasing & Supporting people... Renewal -Rebirth, Regeneration, Restoration, Rekindling, Revitalisation, Replenishment & Revival. Exalting Jesus - Restoring, Equipping, Releasing & Supporting people... Renewal -Rebirth, Regeneration, Restoration, Rekindling, Revitalisation, Replenishment & Revival. Exalting Jesus - Restoring, Equipping, Releasing & Supporting people... Renewal -Rebirth, Regeneration, Restoration, Rekindling, Revitalisation, Replenishment & Revival. Renewal -Rebirth, Regeneration, Restoration, Rekindling, Revitalisation, Replenishment & Revival. Exalting Jesus - Restoring, Equipping, Releasing & Supporting people... Renewal -Rebirth, Regeneration, Restoration, Rekindling, Revitalisation, Replenishment & Revival. Exalting Jesus - Restoring, Equipping, Releasing & Supporting people... Renewal -Rebirth, Regeneration, Restoration, Rekindling, Revitalisation, Replenishment & Revival. Replenishment & Revival. Exalting Jesus - Restoring, Equipping, Releasing & Supporting people... Renewal -Rebirth, Regeneration, Restoration, Rekindling, Revitalisation, Replenishment & Revival. Exalting Jesus - Restoring, Equipping, Releasing & Supporting people... Renewal -Rebirth, Regeneration, Restoration, Rekindling, Revitalisation, Replenishment & Revival. Exalting Jesus - Restoring, Equipping, Releasing & Supporting people... Renewal -Rebirth, Regeneration, Restoration, Rekindling, Revitalisation, Replenishment & Revival. Renewal -Rebirth, Regeneration, Restoration, Rekindling, Revitalisation, Replenishment & Revival. Exalting Jesus - Restoring, Equipping, Releasing & Supporting people... Renewal -Rebirth, Regeneration, Restoration, Rekindling, Revitalisation, Replenishment & Revival. Exalting Jesus - Restoring, Equipping, Releasing & Supporting people... 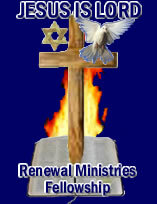 Renewal -Rebirth, Regeneration, Restoration, Rekindling, Revitalisation, Replenishment & Revival.